Your shop around the corner in the global village! Since over 10 years 48 SPECIAL MODELS is manufacturing resin cast model kit and offers them via the own internetshop, mostly exclusivly. 48 SPECIAL MODELS has no physical shop location! 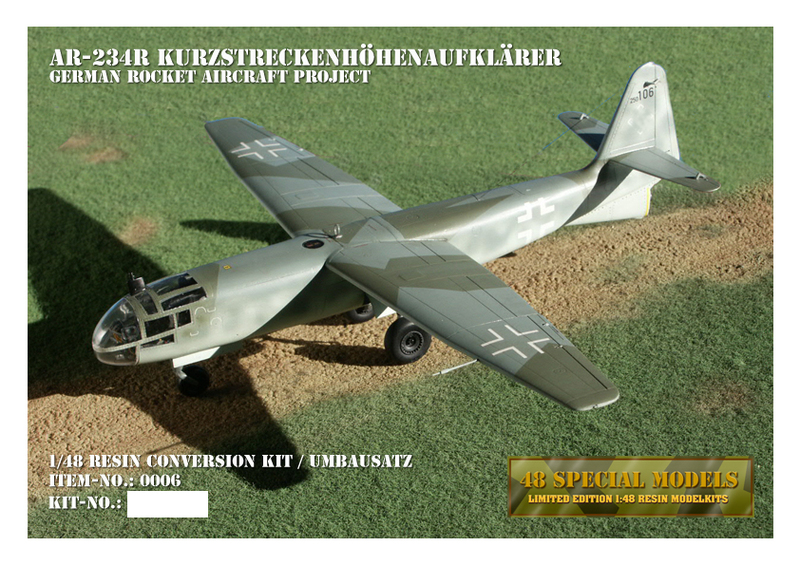 Since our first kit was made a lot has changed and we became an modellers and collectors internetshop over the years. Having customers all over the globe by now! Our primary business has changed to retailing and so we offer about 8000 different items today and it is getting more each day! Besides the production of limited edition resin cast kits the amount of collectors items has continously grown over the years. This is why we offer almost any scale and genre today! Our website keeps customers informed about our products, as well as how to do models and make them a piece of art. It also helps our customers to understand our products better and tells them how to use them right. These pages are for information in the first and will show what can't be seen on the shop pages due to limited space. By use of links you may switch to the item in the shop instantly or reach an detailed information page first. Almost any picture is linked eather to the item in the shop or an information page! 48 SPECIAL MODELS will process your orders as soon as possible. Usually we ship your order the day the payment arrives! We offer two ways of payment. Bank transfer within Germany and the EU and PayPal for all customers around the world. 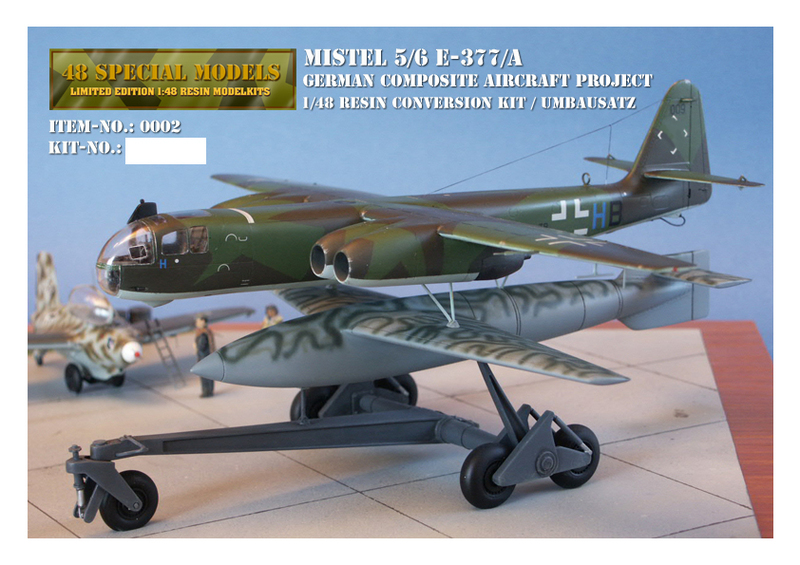 1/48 resin complete kit with metal etched parts and vacuformed canopy! 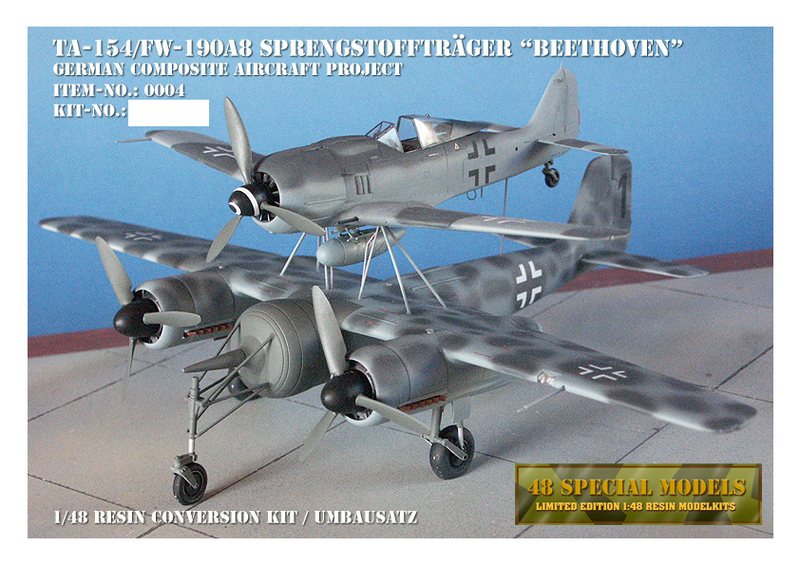 German composite aircraft based on a Ta-154 with FW-190A8. All kits are conversion kit, except for the DFS-346, which is a complete kit. For making one model at least on additional model kit is needed, which is not included! The availability of the needed extra kits depends on their manufacturers. We are not responsible for availability of these kits! German Rocketplane base on first jet bomber Ar-234B2. Each kit comes in a Limited Edition and gets its own production number. 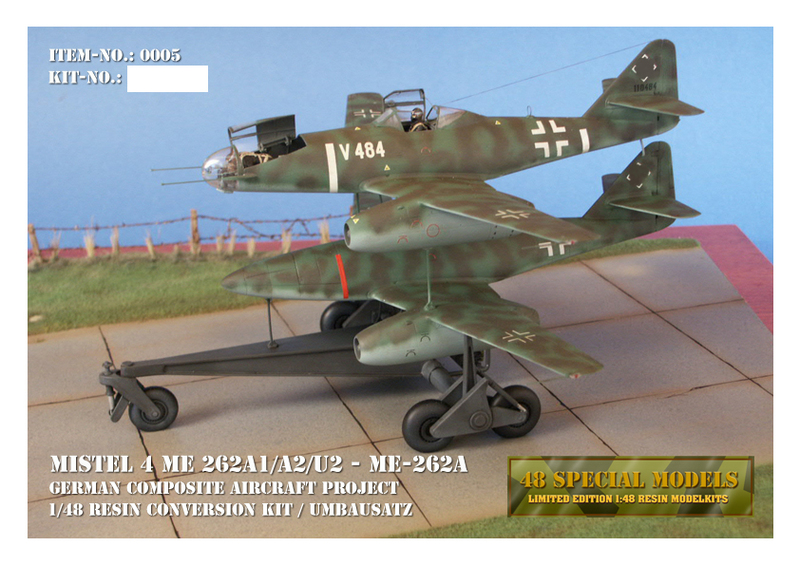 48 SPECIAL MODELS modelkits are sold via our webshop and will be offered as long as available! The exact production quantity of each edition will be published on our homepage. They may vary from edition to edition, but are in general about 200 items each. 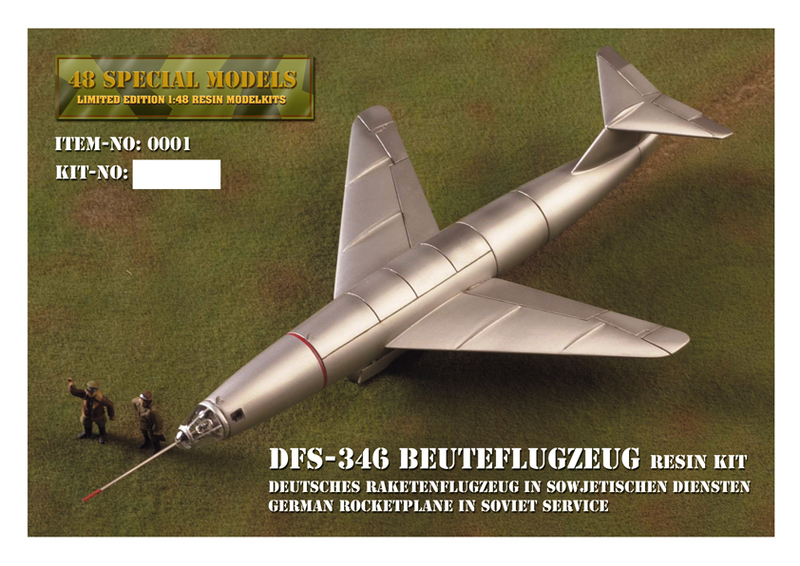 48 SPECIAL MODELS modelkits are made from a variety of materials to guarantee truth to the original. Therefore high quality resins are used, as well as vacuum formed canopies, photoetched metalparts and a lot of other materials. 48 SPECIAL MODELS takes a close look on quality. All of our kits are completly handcrafted in Germany and checked carefully before delivery.